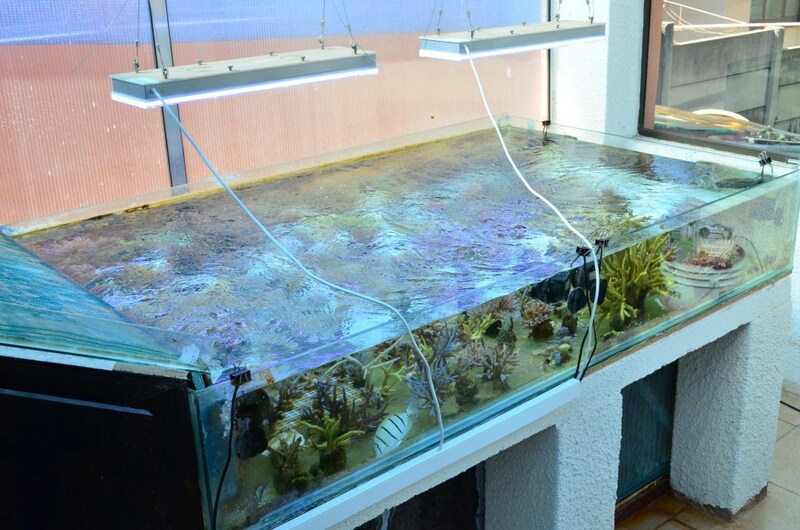 Tank is 200cm x 120cm x 27cm (water height). 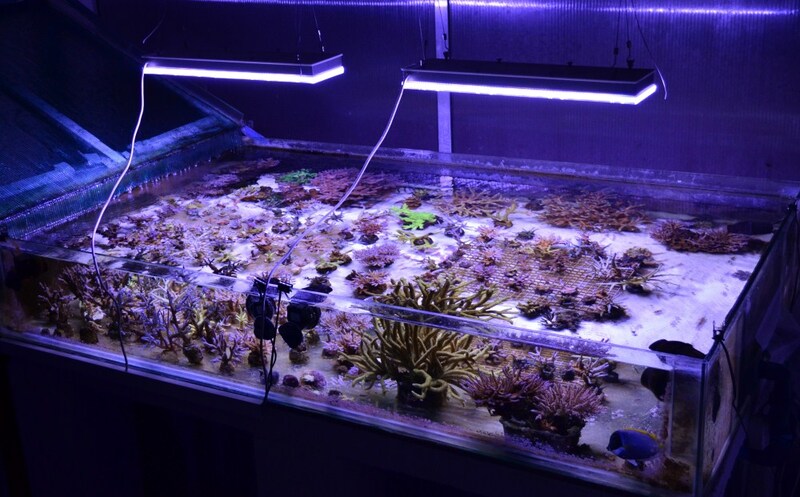 The LED unit is 45cm above water level. 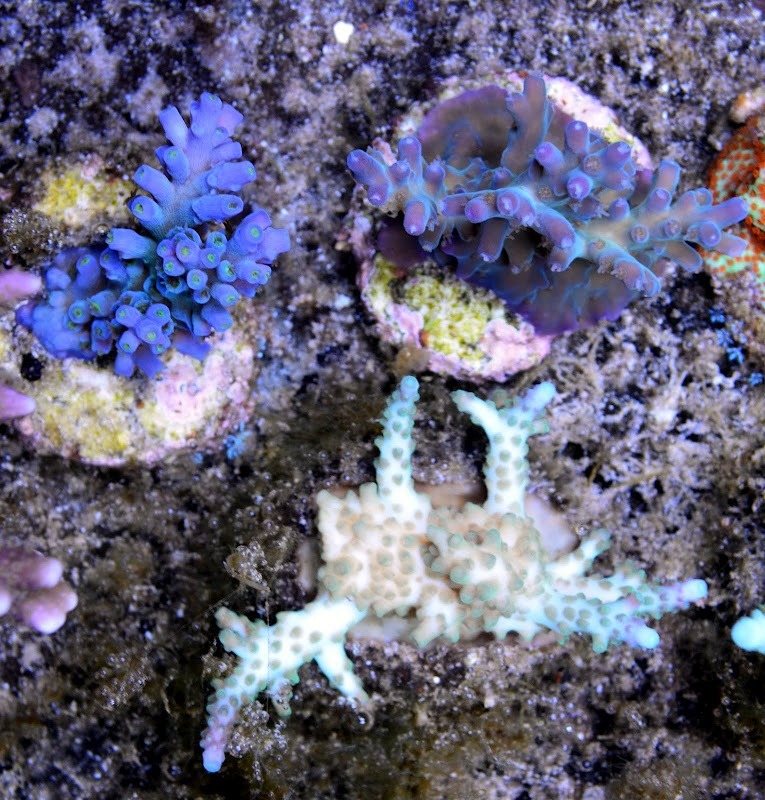 I’ve been debating trying out an LED set-up to see what colors I can get….here are some pics two weeks into using my new LED units strung over a section of my nursery tank, a mix of exisiting frags and some new one’s I got from a fellow hobbyist. 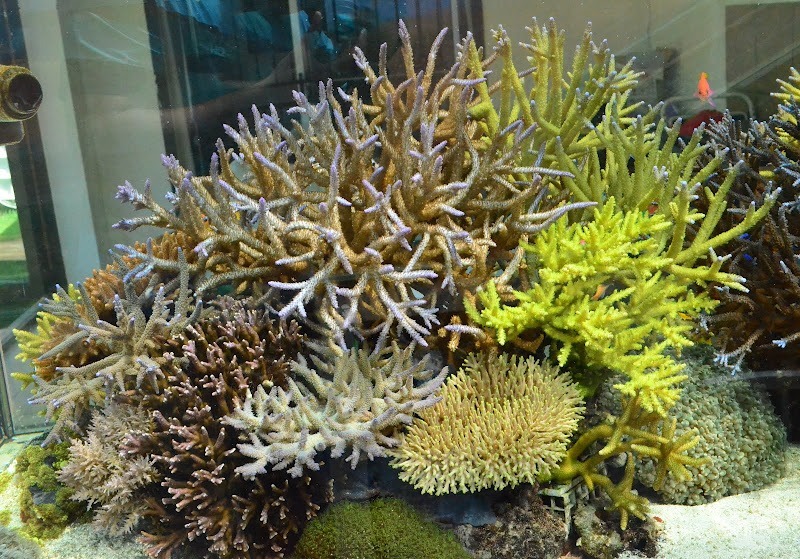 Current Tank Info: My SUNLIGHT powered SPS system, total volume 660 gallons (2500L), incorporating a 317 gallon (1200L) Starphire Rimless, a 160 gallon (600L) nursery tank and about 1000lb’s (500kg’s) of live rock, 2 protein skimmers, an ATS and lots of macroalgae. 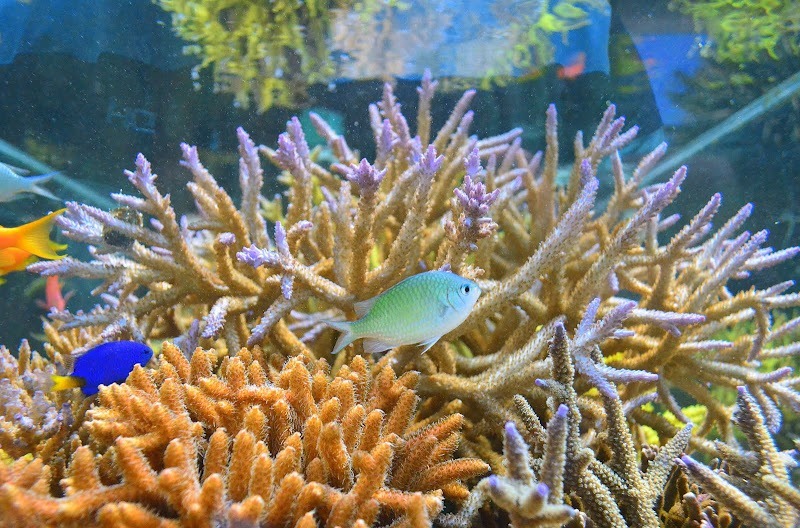 I believe in ample feeding of fish and corals, it keeps them in good shape. 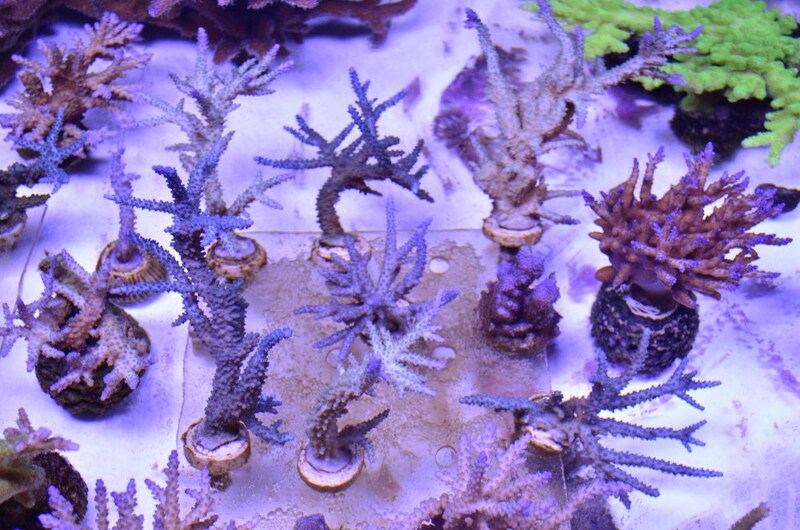 Also, well fed angels and tangs will be less prone to start picking on my prized corals. 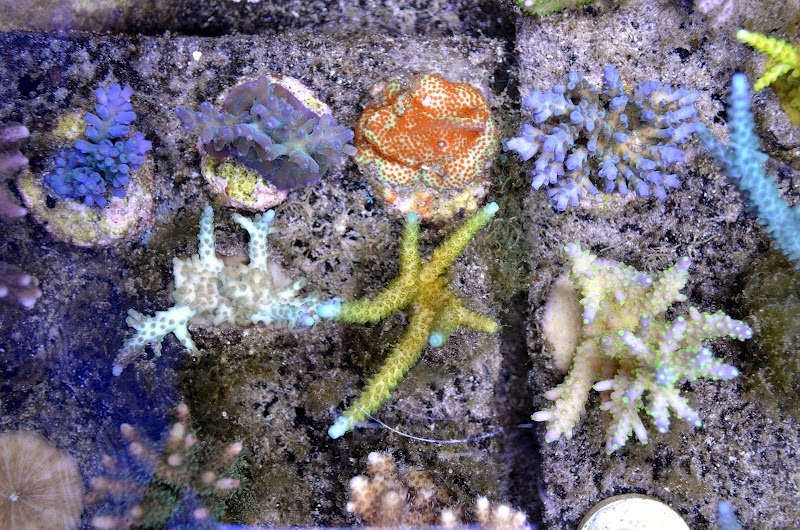 My fish enjoy 8 auto feedings of Ocean Nutrition pellets daily. 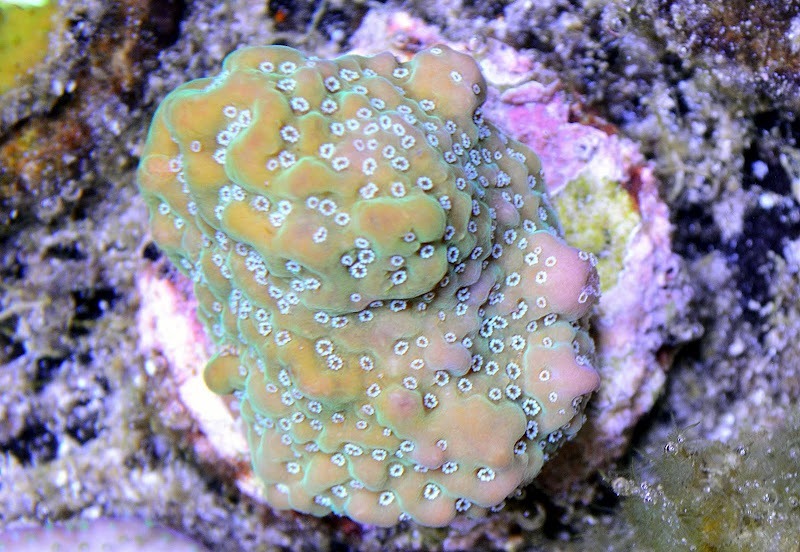 I add a sheet of nori every second day, every 3rd day it’s a treat of 10 cubes of defrosted Mysis and chopped Krill which I soak in Tropic Marin’s Lipovit. 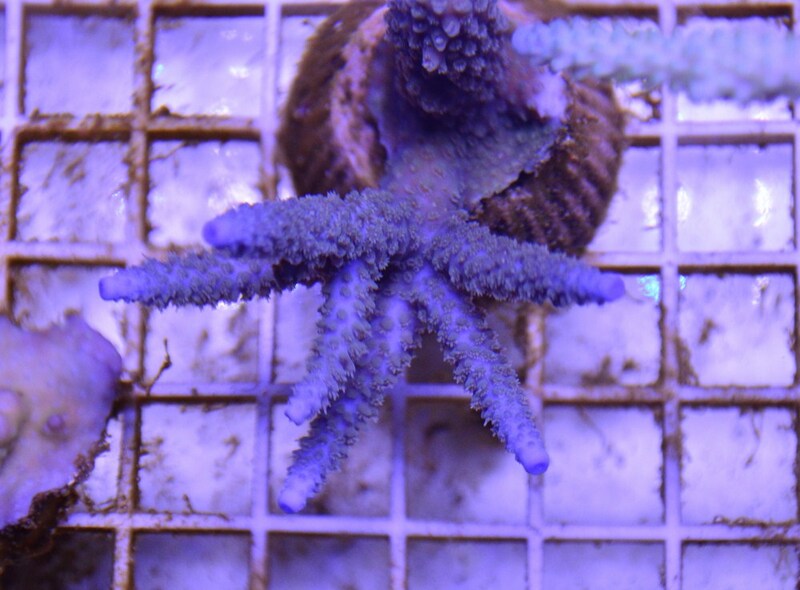 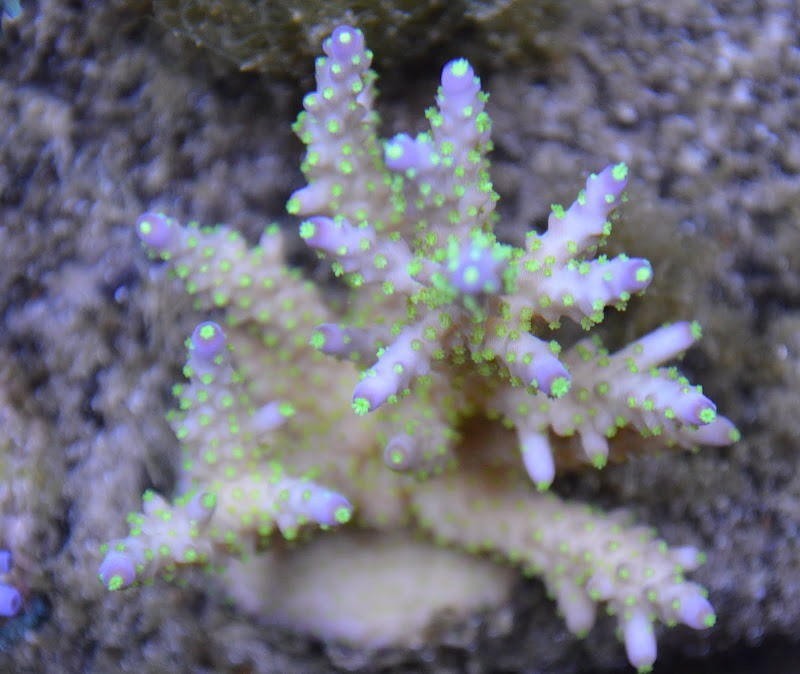 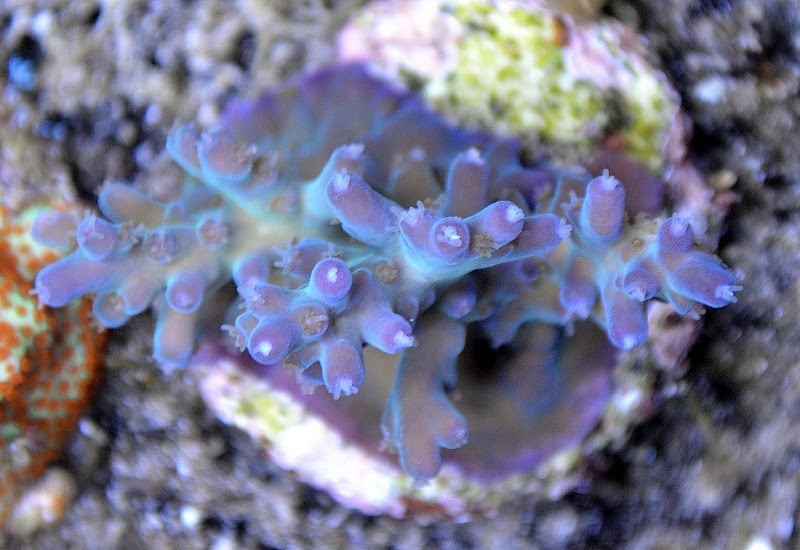 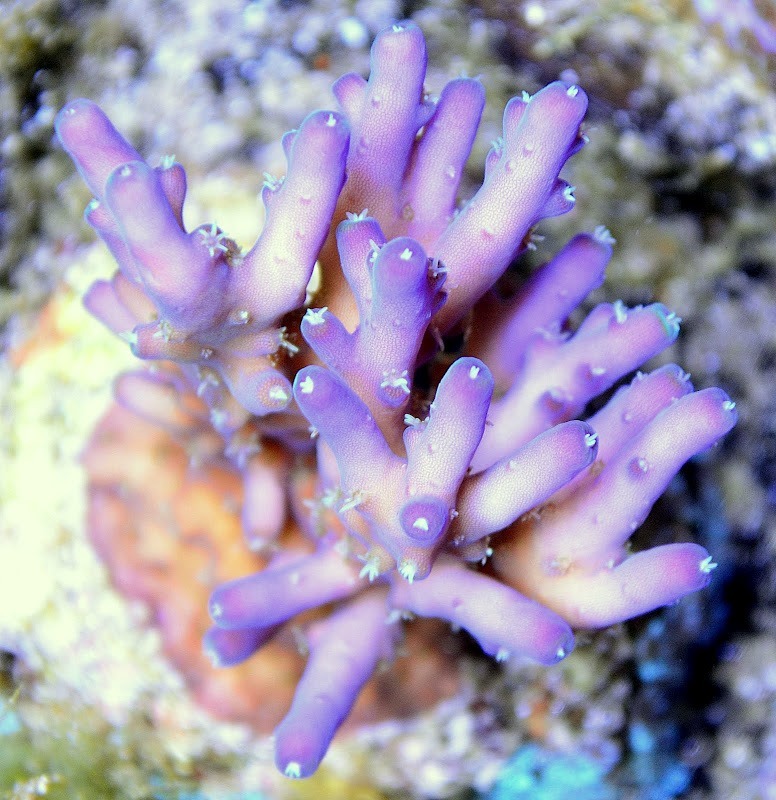 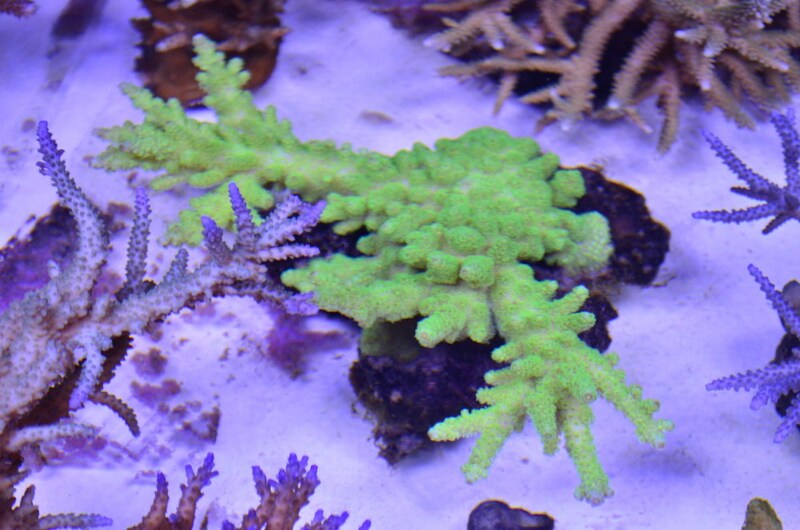 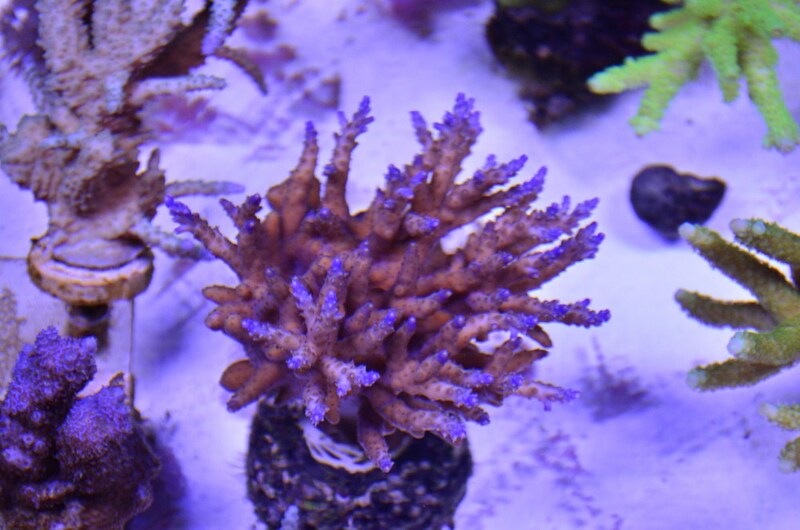 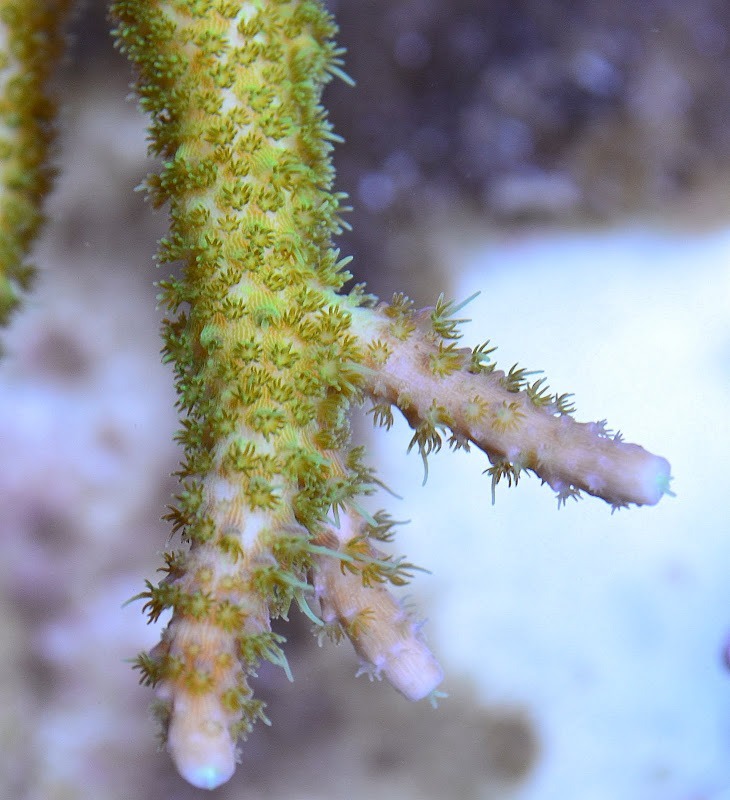 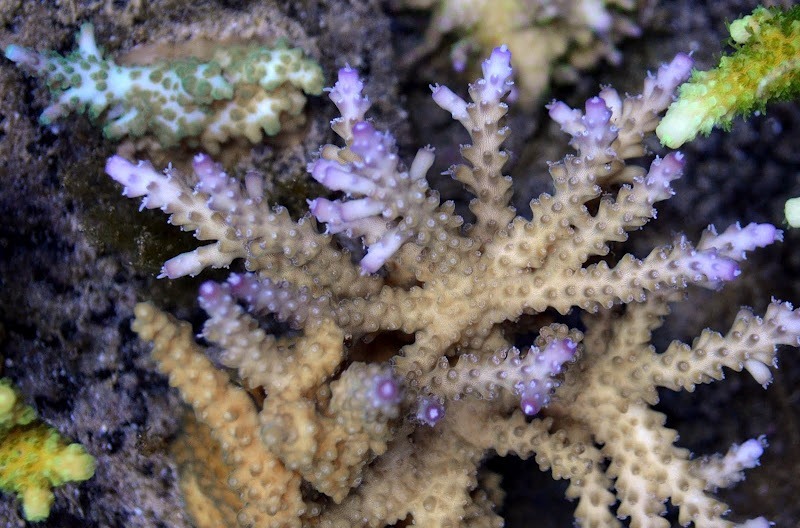 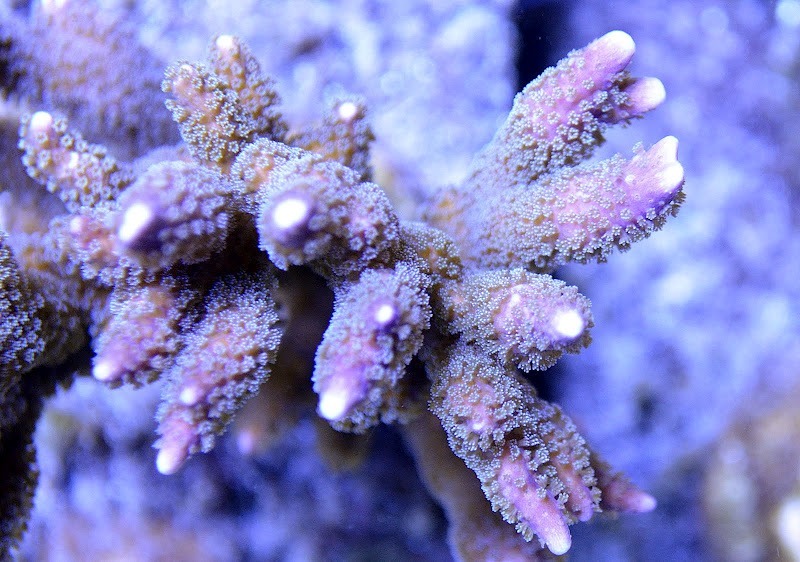 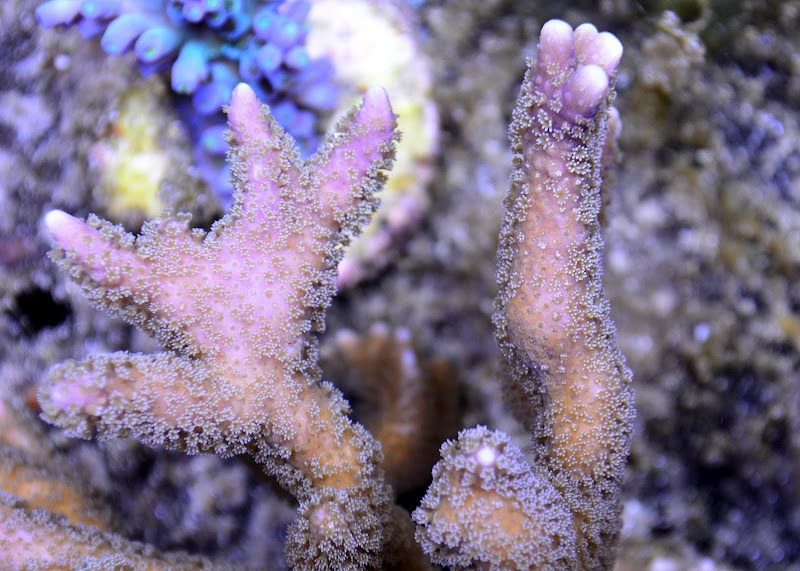 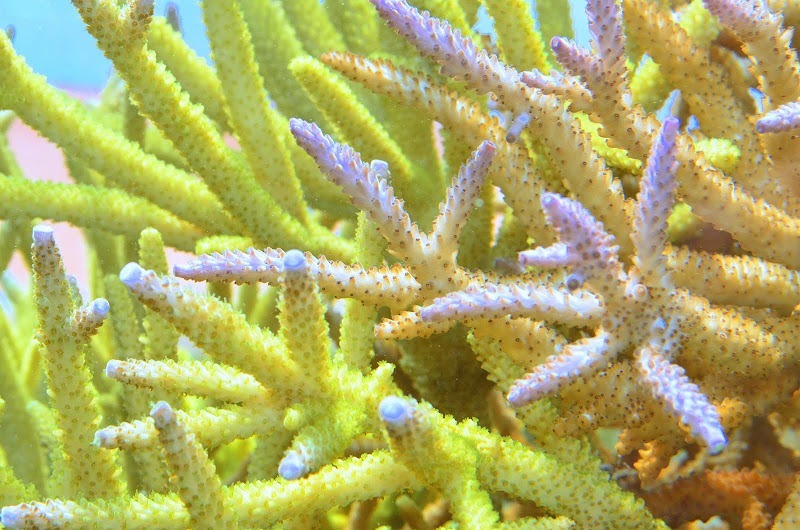 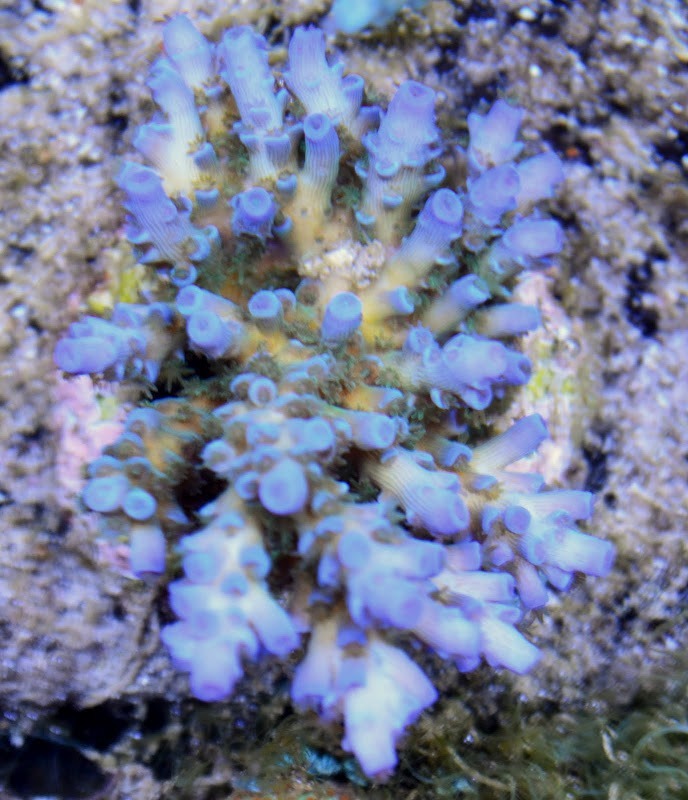 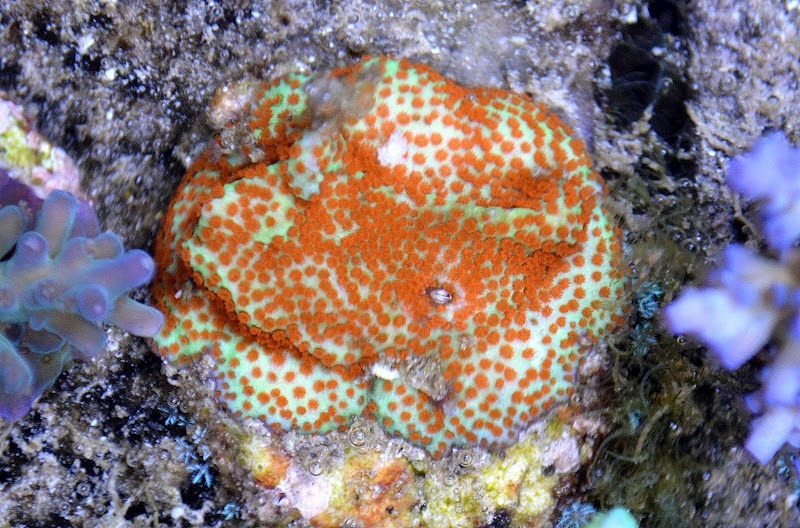 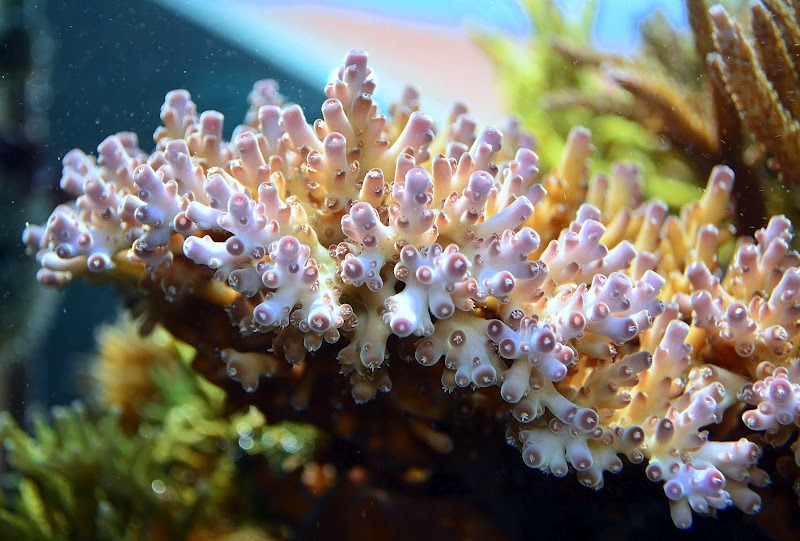 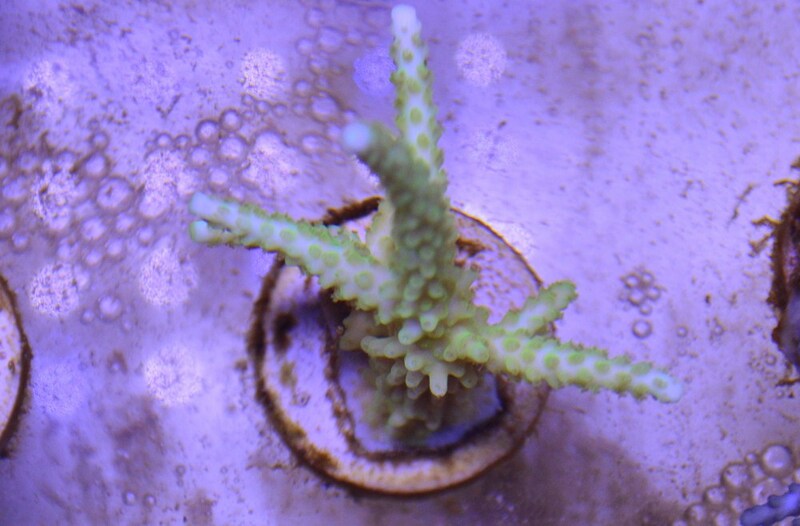 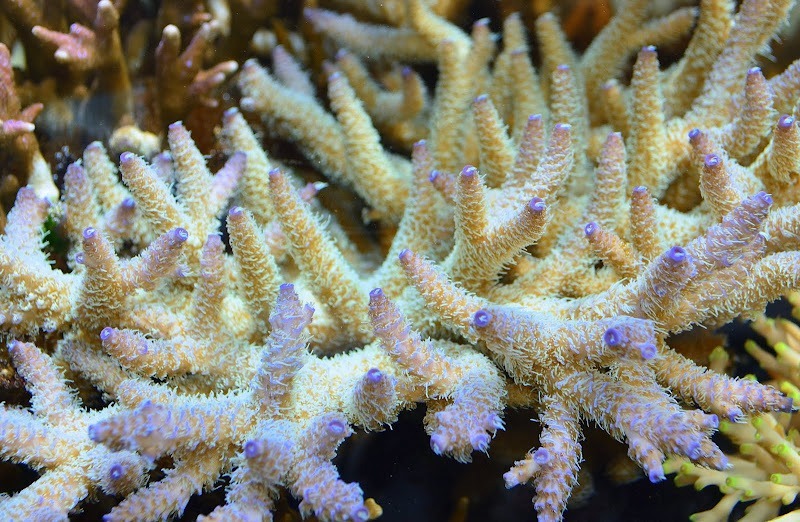 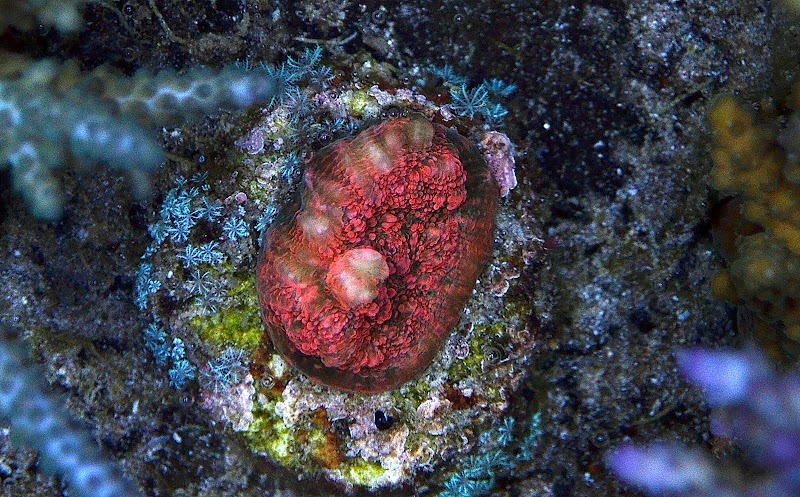 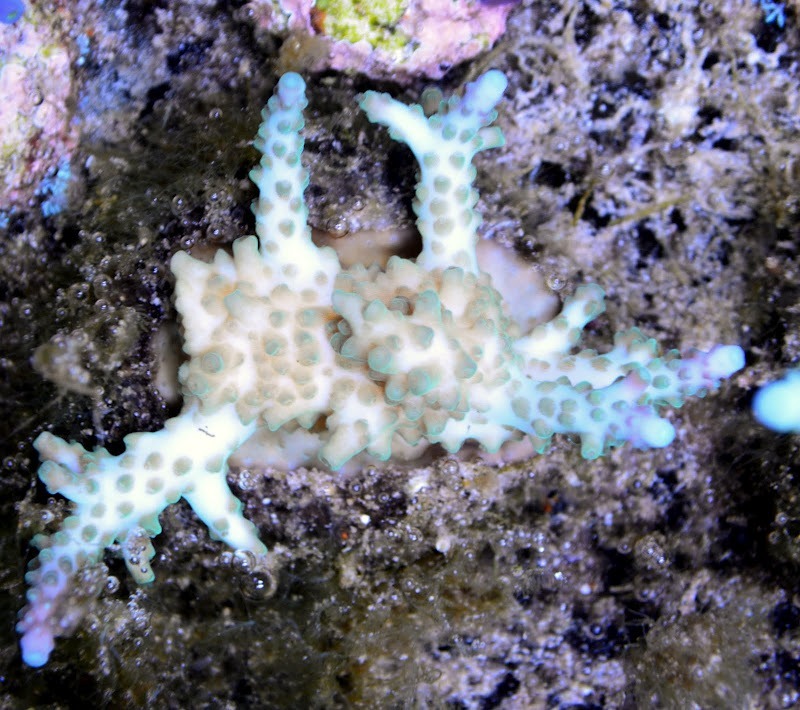 I do not target feed any of my corals other that the addition of amino acids to the water column.